Yesterday, I shared my favorite beauty products from July. 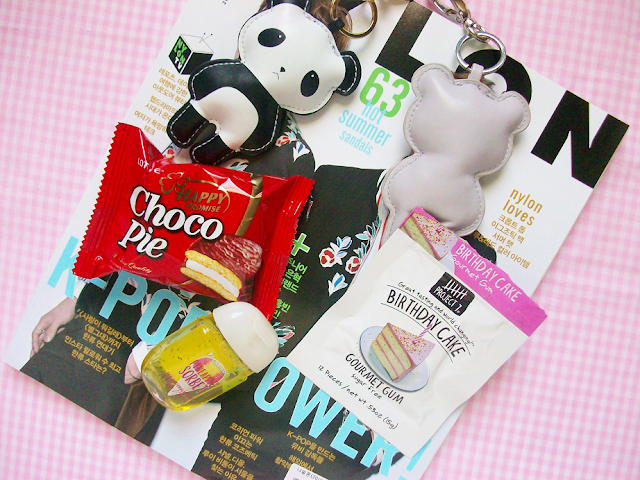 But, today I am going to show you my favorite random items that I frequently used the most in the month of July. Enjoy! 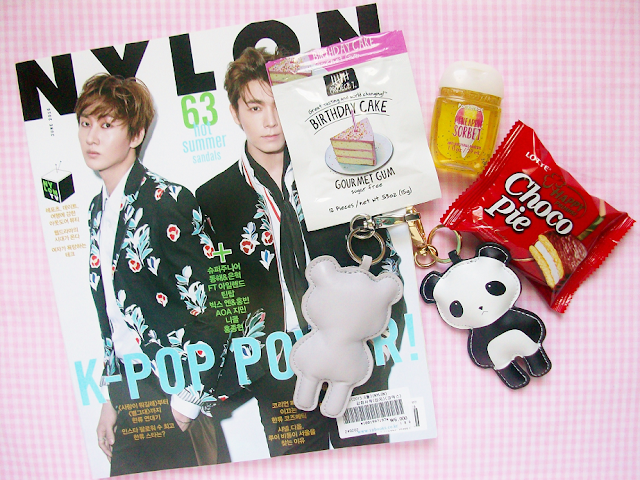 My friend Jenny brought me this when she was in Korea. 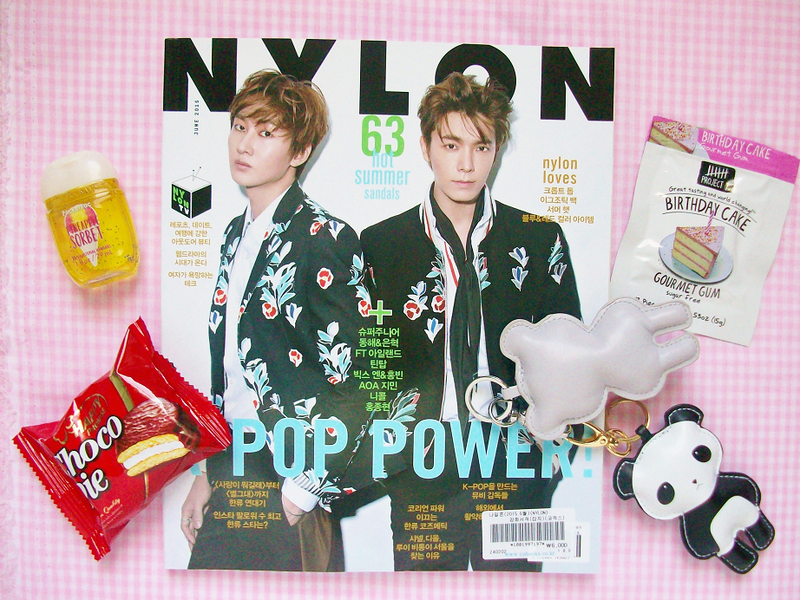 It's so hard to find affordable Korean magazines online so I asked her to get me one and she got me my favorite magazine, Nylon! This issue is super thick and contains lots of Korean fashion, new beauty trends and Kpop stars. Hopefully, one day my Korean will be good enough to read this magazine front and back! 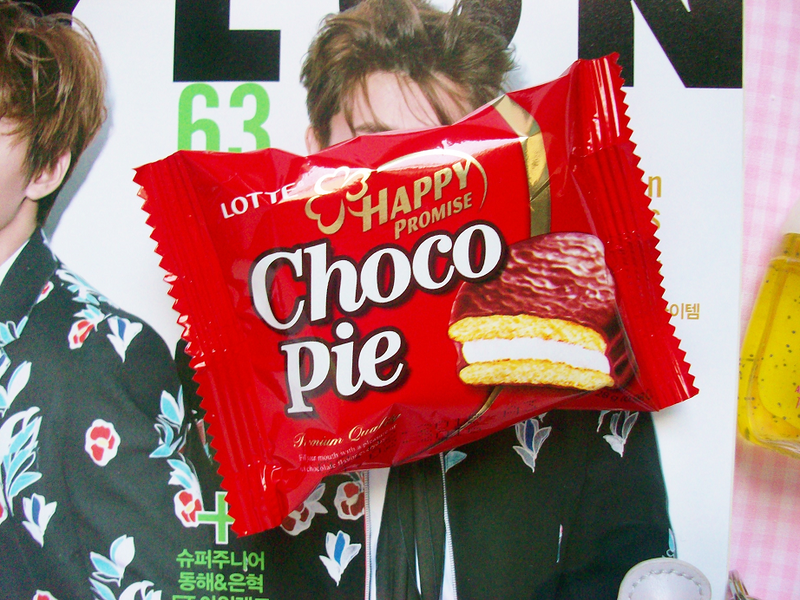 My older sister bought me a box of Choco Pies by Lotte. These are the famous Korean Choco Pies that a lot of people in Korea eat, including kpop stars! I can see why they are so popular, they're soft and fluffy, like eating a cloud! They tastes similar to Moon Pies but they're lighter and have more of a marshmallow taste. All month long I hung one of these cute H+M bear key chains on my purse. Depending on what I was wearing I would switch out from the panda to the bear clip. They're nicely made and of course adorable! Bath and Body Works recently changed the packaging of their hand sanitizers and I love the new bottles! I was never a fan of the old shape but I love the new round shape. I especially love all the new holders! This gum is seriously amazing! I found it at Target next to the cash register and I bought it because it looked strange but mostly because it claimed to tastes like cake. 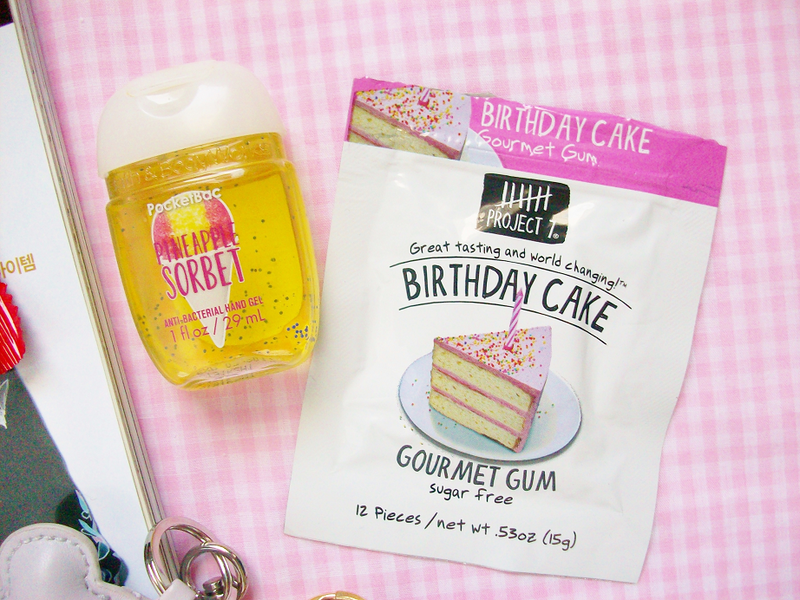 It tastes exactly like birthday cake! What are some of your lifestyle favorites from July?